Comcast has an image problem… mostly because its customer service is consistently ranked among the worst — not just of cable companies, but of all customer-facing businesses in the U.S. So maybe that’s not so much an image problem as it is a systemic rot that has been allowed to fester because the company has virtually no competition. So how to deal with this problem? Promote someone and claim that he’s going the answer to all your problems. 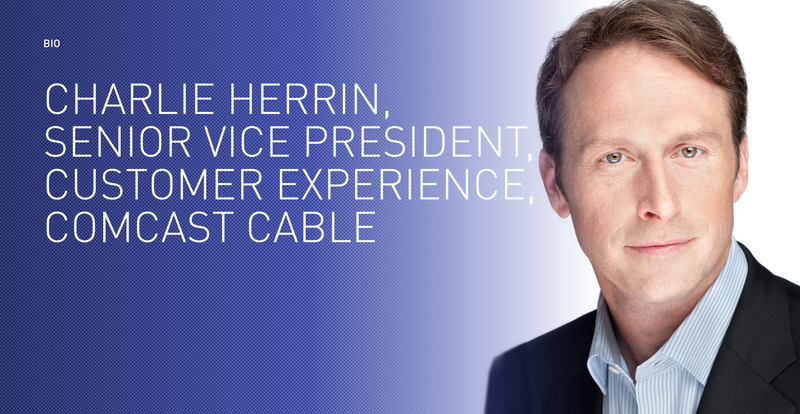 Kabletown announced today that it has promoted Charlie Herrin (who looks kind of like a laboratory hybrid of Wings’ Tim Daly and Thirtysomething’s Peter Horton) to be the company’s Senior VP of Customer Experience. That all sounds great Neil. Why didn’t you think of doing any of that for the last few decades while you gobbled up smaller cable companies without raising alarm bells at the FCC? “Our customers deserve the best and we need to work harder to earn their trust and their business every day by exceeding their expectations,” writes Smit, again glossing over the fact that Comcast customers may indeed deserve the best, but they probably aren’t going to get it, at least in markets where there is no competing service for pay-TV and broadband. Without competition, Comcast has no reason to actually back up this “we love our customers” sentiment. What are you going to do, switch to slow DSL service from your local phone company that hasn’t maintained its copper wire network in years? Or maybe you can get wireless broadband and pay the same amount as Xfinity for 1/70th the amount of data each month. In spite of what Comcast and Time Warner Cable would have you believe, those are not alternatives. And that’s apparently where Herrin comes in. Herrin’s even got a pair of Emmy awards (who doesn’t?) gathering dust next to Comcast’s two Golden Poo statues for Worst Company In America. We had no idea they gave Emmys for this sort of thing, but Herrin got his back in 2011 for the Xfinity TV iPad app and another in 2013 for the X1 user interface. The only way that Comcast will truly begin to treat customers better is when they stand to lose those customers. But rather than fight proactively to keep those subscribers by providing better service, Comcast would rather lobby against municipal broadband and exploit loopholes in net neutrality rules to squeeze tolls out of high-bandwidth content companies like Netflix that directly compete with Comcast’s pay-TV service but rely on its Xfinity broadband to reach consumers. If Comcast truly believed that customers were the most important thing, it would welcome competition and show that its product would still be bought even after people were given a choice.